If you saw the Apple Pack Language Update last week you might have guessed that this math update was coming! Apple are a fun part of our fall and I wanted to make sure we had tons of fun with it this year! 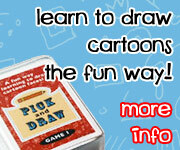 This is full of fun activities for various ages from learning numbers to multiplication! Fun learning with sorting, spinning and cube dice as well! This Apple Pack: Math Update is great for kids ages 4 to 10. It has some PreK, Kindergarten, First Grade, Second Grade and Third Grade Activities. I tried to add a few activities for various ages in those grades. The Original Apple Pack has activities for kids 2 to 8. Be sure to check it out. This update like the original pack was made to go with the following book: The Apple Pie Tree . Check here to download the Apple Pack Update: Math Activities! This entry was posted in math, printable pack and tagged apples, free, math, printables. Bookmark the permalink. I love this pack so much Cassie! You have put in so many fun math activities for the Fall. I am going to have to print some of your activities off today for my daughter to enjoy before we go to apple orchard in a few weeks. Another two thumbs up and big high five on this pack!!! Oh! This makes my heart sing as I loved teaching Apple theme in the Fall back when I used to teach. Love it! The apple theme is just perfect for fall! Another great one! I love fall and I love cooking with apples at this time of year. The kids often join in with me and we count slices of apple as they go in the pot. This is a great way to continue their learning while the pie is cooking. Think I’ll use some of these with my boys next week. Thanks for sharing! FUN! Group of printables. I think there is something there for everyone from my preschool guy to my fourth grader! There are so many awesome apple activities. I feel like I could do an apple theme all month! Thank you so much for the resources. I’ve been looking for some things that. Have an attractive preschool feel with some more advanced activities. This looks great ! How adorable! Thank you so much for your hard work and putting these together! Amazing printables! Can’t wait to use some of them. Very cute! I love the clip art apples you found for it!